What’s Microsoft Planning with Windows Virtual Desktop? Windows Virtual Desktop has been in the news for quite some time and has a lot of buzz around it. Let’s get to know more about it and what the hype is all about. Windows Virtual Desktop (WVD) is a service offered by Microsoft. It’s designed to let users virtualize different operating systems and programs including Windows 7, Windows 10, Office 365 ProPlus, and several third-party applications. It uses Microsoft Azure to virtualize the products and is said to be an attempt to give Azure a boost. 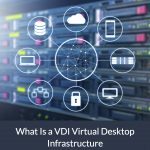 How can Windows Virtual Desktop help me? According to Microsoft, the service will deliver remote applications and virtual desktops to any device. It’s advertised as the only platform to offer a multi-session Windows 10 experience. The offering brings together Azure and Microsoft 365, thus allowing users a chance to enjoy reduced costs and improved scalability. Thanks to the service, multiple users will be able to log into the same machine or Windows. The system would also allow users to virtualize individual Microsoft Store apps or entire desktops. Moreover, users will also be able to virtualize Windows 7 after Microsoft ends support for the OS in January 2020. Users will be able to buy an extension for three years without having to pay for Extended Security Updates. How can I enjoy Microsoft Virtual Desktop? Microsoft 365 E3, E5, or F1 customers can get access to WVD for free. Sign up for an Azure account, and you’ll be able to enjoy the benefits offered by Microsoft Virtual Desktop. The company has also authorized Citrix, one of its partners, to sell WVD. Parallels will also include WVD among its offerings.